How about the Russians as another colonial power? The U. S. bought Alaska from them in the late 1860's. The Russians had small outposts along the west coast as far south as the Oregon Territory. Or the Vikings? They could start the game with a small colony (pioneer, soldier, and farmer plus a caravel) in Newfoundland. 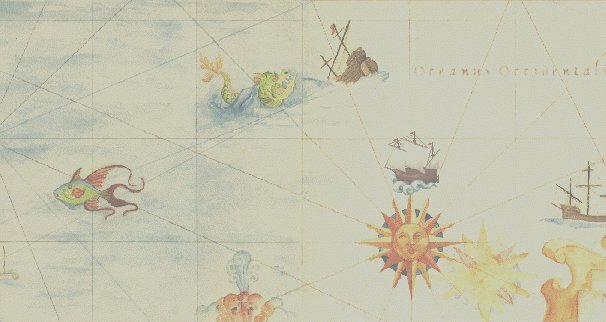 On computer generated maps, they would start on a small island of 5-8 squares. My suggestion about the Vikings is based on the fact that during the 11th century, a small group under the leadership of Thorfinn Karlsefni did establish a tiny settlement at L'Anse aux Meadows in Newfoundland. It is believed this settlement only lasted a few years. Under different conditions (and Colonization certainly allows for different conditions) this settlement could possibly have survived as a small fishing village trading with the Greenland settlements, until Columbus. For a European country, they could have Denmark. I believe that during the time period of the game, Denmark ruled Norway, as well as Iceland and Greenland. Game Endings by BORN@aol.com ? Colonization is the follow-up game to Civilization. It is not a true sequel, but focuses on the exploration of a New World and ultimately the birth of a new nation. There are 3 ways the game ends in Colonization, with one outcome being the most positive. The two least positive outcomes, from a Colony Score standpoint, are to have the game end automatically. The first end game happens if you have NOT declared Independence. The game will end automatically in 1800 and your Colony Score will be tabulated. The 2nd end game happens if you have declared Independence, but have not won as yet. The game will then end automatically in 1840. This is a detriment because once you declare Independence you cannot found any more Cities/Colonies. And a long protracted war drains your resources and ultimately your Score. So.. the 3rd and best way to maximise your Colony Score is to declare Independence on or before 1776 and win before 1800.